The sum of N20 million has been staked as reward for anyone with information concerning the killer of Ideato North local government Chairman of All Progressives Congress (APC). 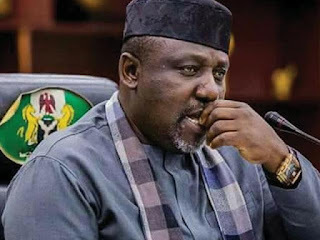 The Imo State Governor, Mr. Rochas Okorocha, on Friday made promised the reward to fish out the killer of Mr Sunny Ejiagwu. He was reported killed by gunmen suspected hired assassins four days after he was elected as the APC Chairman in the LGA. He was killed in Orlu-Akokwa Road on his way home after attending a meeting at the APC Secretariat in Owerri, the state capital. Mr Nwafor told reporters at the party’s state secretariate that the murder was capable of causing political chaos in the state. Ejiagwu was murdered on Friday morning, four days after he was elected as the APC Chairman in the LGA.